Time for a new Challenge & Giveaway at Scrapbook Boutique! Welcome back, it’s time for the new challenge at Scrapbook Boutique, that means it’s also time for a blog hop… so of course more wonderful prizes to be won! You should have arrived here from Sue’s amazing blog! And for all the deets on how to join this month’s challenge and have the chance to WIN a $30 gift voucher stop by Scrapbook Boutique blog, you have until the end of December to join us! I’ve been playing with some cute Penny Black images… again, I don’t know what it is about them, but they really make me smile! Other Supplies: Copics – E000,00,25,31,33,50. Y11,13,21. YG00,13,17. R05,22,27,29. < Previous Where has the Year Gone? Christmas 2014 Finale (video)! Next > O’ Christmas Tree – Purple Onion Designs (video). I have this set! Would never have thought of it for a holiday card!! Awesome, as usual!! 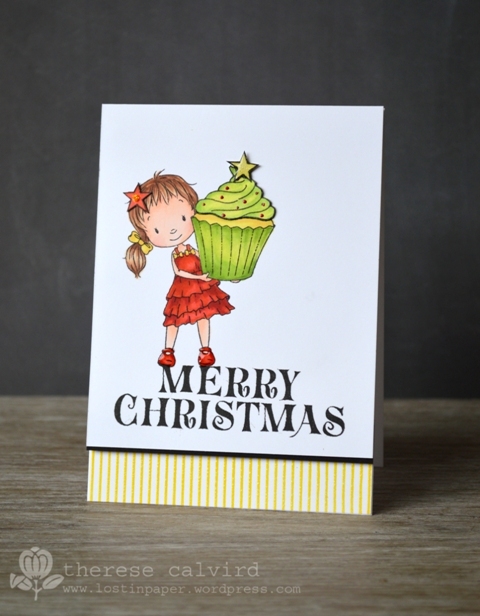 What a great take on a different set of stamps – lovely colouring as usual too! Absolutely adorable card, Therese! Beautiful coloring, and I love how you have her standing on the sentiment! So fun! Super sweet..great idea to let her stand on the sentiment! Oh you have perfectly matched that image from the tip of the frosting, to the shine of the platter with her darling “Dorothy” shoes, Therese… I love her! Therese – this is without doubt – FANTASTIC!! Just darling! I know several little girls who would love this! Really adorable. Brilliant Image and your colouring is fantastic. I also love the sentiment – so bold and yet just perfect for the job. That image and ur superb coloring totally nails the inspiration photo 🙂 awesome card! Oh this is fabulous Therese. 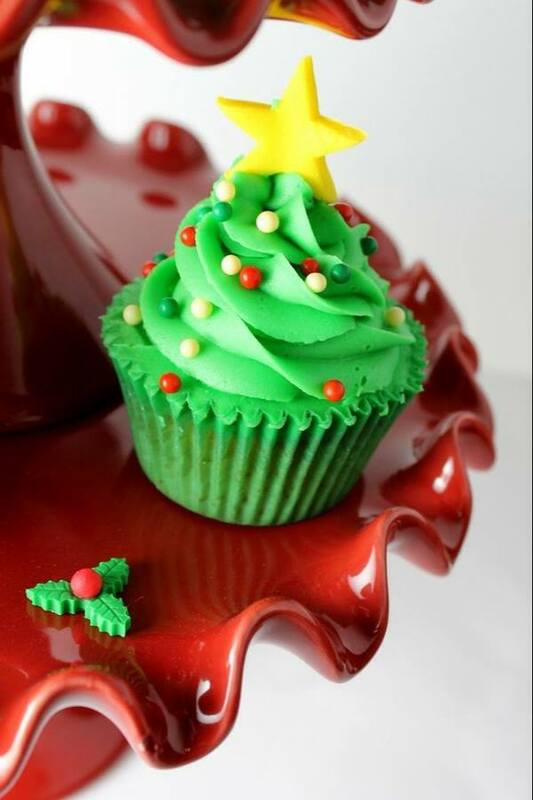 I love the image and that big cupcake on top of the sentiment. 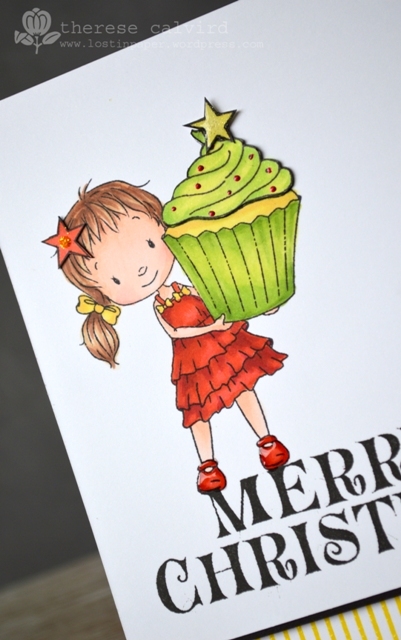 I am not sure if I would like to eat that green cupcake but your card is so sweet and festive, love it! Look at those pleats on her dress! WOW! Your colouring is just amazing! I love how you have clearly been inspired by the cupcake photo! You are a super talented card maker my friend.